Wayne Turmel has been writing about how to develop communication and leadership skills for almost 20 years. He has taught and consulted at both Fortune 500 companies and startups around the world – for the last 8 years focusing on the growing need to communicate effectively in remote and virtual environments. His background as a trainer and training manager, most recently for Communispond, gave him access to both the strategic and functional level in organizations from Singapore to Europe and across North America. His role there led to his contributing to his first book, The ASTD Handbook of Instructional Technology, in 1998. He’s contributed to other books in the field by organizations such as the American Society for Training and Development (now ATD) and the American Management Association (AMA) as well as written 8 titles on his own. His best-known titles include ASTD’s 10 Steps to Successful Virtual Presentations and Meet Like You Mean It – a Leader’s Guide to Painless and Productive Virtual Meetings. He also co-authored The Long-Distance Leader: Rules for Remarkable Remote Leadership (Berrett-Koehler). In 2008, Wayne formed GreatWebMeetings.com, and worked with hundreds of organizations to help people sell, present, train and lead people and projects through communication tools such as WebEx, Skype for Business, and GoToMeeting. In 2016, he merged his company with The Kevin Eikenberry Group, to create The Remote Leadership Institute, where he serves as co-founder and Product Manager. Besides his books, Wayne Turmel has been a thought leader for many years in other areas. For six years, his podcast, “The Cranky Middle Manager Show” was one of the first global podcasts, with thousands of subscribers and a reputation for frankness, candor and tough love. This led to his association with Management Issues where he’s written for over 10 years, first with “The View from the Middle,” a regular column on issues facing middle managers, and for the last 7 years, “The Connected Manager,” writing hundreds of columns on the challenges of communicating and leading in a remote team environment. In addition to his writing, Wayne Turmel is a sought-after speaker at business and leadership conferences and events. 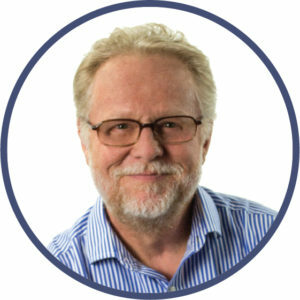 Besides delivering over 100 classes a year, he’s a frequent guest at events such as ATD’s International Conference and Exposition (spoken 6 times), ATD’s TechKnowledge (5 times), The European Digital Learning Expo (2013), The California HR Conference and Exposition (2013) and countless ATD and Project Management Institute chapter meetings and professional development days.